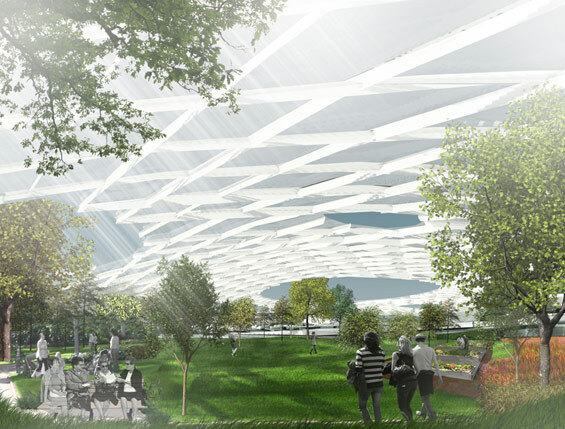 fibroCITY was conceived and designed by the Houston office of Perkins+Will, who envision a pedestrian-oriented, community-driven environment that physically bridges over the city’s existing highway system as a means of reconnecting urban communities. 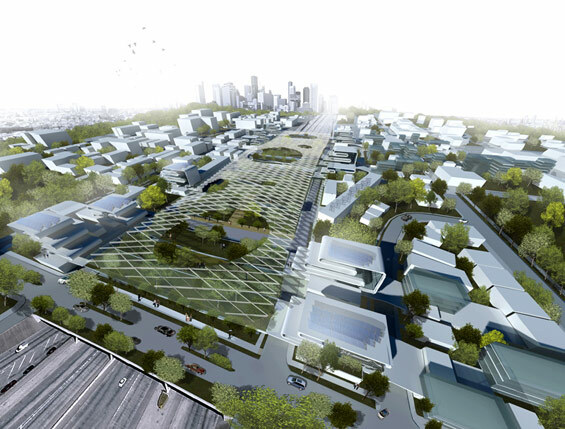 This design entry for the Living City Design Competition responds to the history of highway development in Houston. The selected site, located at highway 288 south of downtown, was divided socially and economically by the highway’s development in the 1960s and 70s — conditions which still exist today. 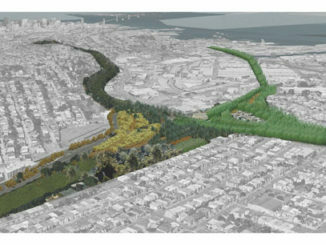 The proposed solution bridges over the highway while still allowing the highway to exist and function as a transit element. 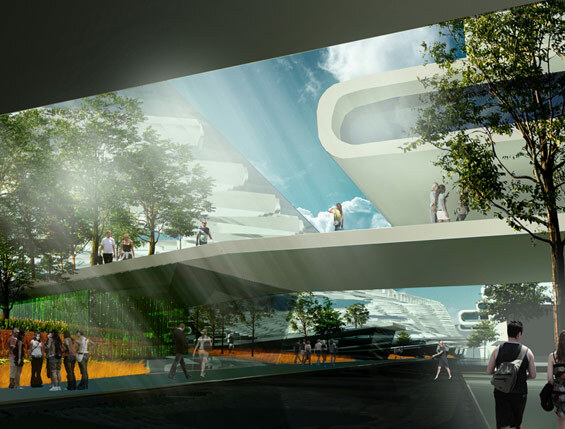 The project provides a physical platform of amenities, green space, and socially equitable, multi-use structures intended to attract and unite the divided communities. fibroCITY is also designed to capture the wasted wind energy produced by vehicles moving on the highway below, and it is designed to capture water for reuse and irrigation.